Duplex Overhead Secondary Distribution Cable assemblies consist of one insulated phase conductor and a bare neutral conductor. 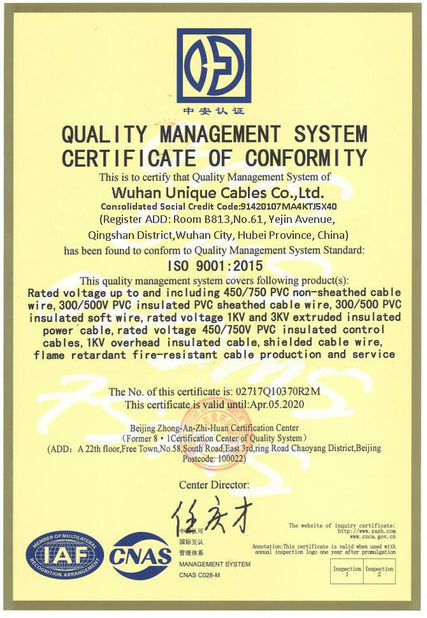 They are intended for use either as a service drop cable between a power pole and the service entrance, or as a secondary distribution cable between poles. Their use should be limited to circuits not exceeding 600 volts phase-to-phase and a 90°C normal conductor temperature. The phase conductor is aluminum alloy 1350-H19 hard-drawn, compressed concentric-lay-stranded. Alternatively, black linear low-density polyethylene (LLDPE) insulation with a 75°C temperature rating is available upon request. 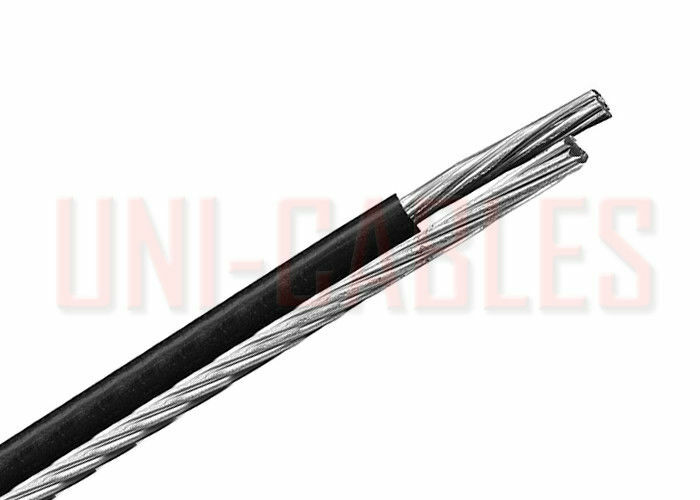 The XLPE insulation meets the requirements of ANSI/ICEA S-76-474-2004 (Standard for Neutral-Supported Power Cable Assemblies with Weather-Resistant Extruded Insulation Rated 600 Volts). 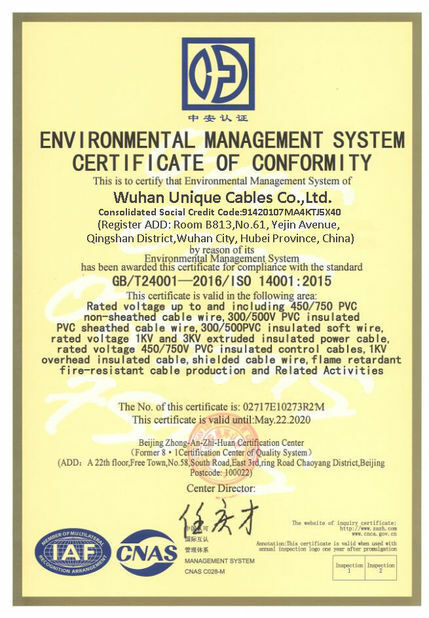 The LLDPE insulation meets the requirements of ASTM Standard D1248-05 (Standard Specification for Polyethylene Plastics Molding and Extrusion Materials). The insulated phase conductor is twisted around the bare neutral conductor with a right-hand lay length of 25 to 60 times the diameter of the phase conductor.